Harsukh Bhai Dobariya, of Gujarat, India, is very popular with birds. 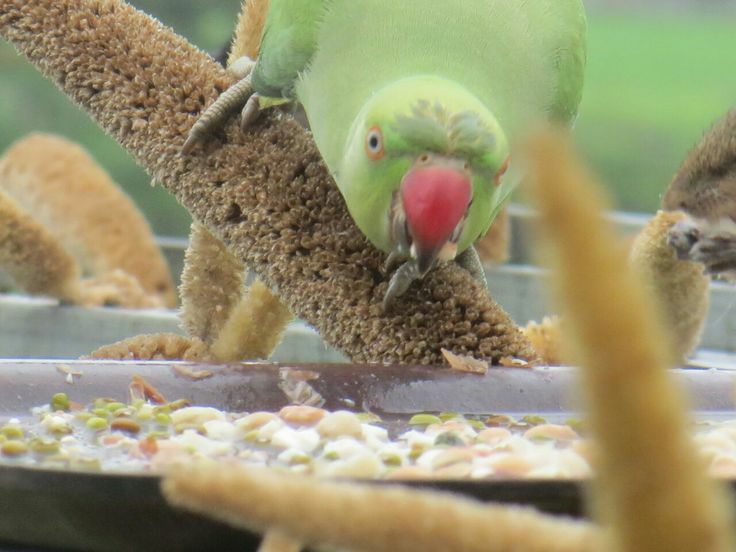 Every day, between 2,500 and 3,000 parrots and sparrows visit his 4-acre farm to feed on tasty millet cobs and build their nests away from predators. Nicknamed “The Birdman”, Dobariya has spent the last 17 years of his life looking out for the birds and transforming his land into a safe ecosystem for them. It all started in the year 2000, when Harsukh Bhai Dobariya suffered a leg fracture on his property in the Junagadh district of Gujarat, and had to spend most of his time in bed. After a neighbor came to buy some pearl millet from him, he had the idea to hang a millet cob on his balcony, which soon caught the attention of a parrot. 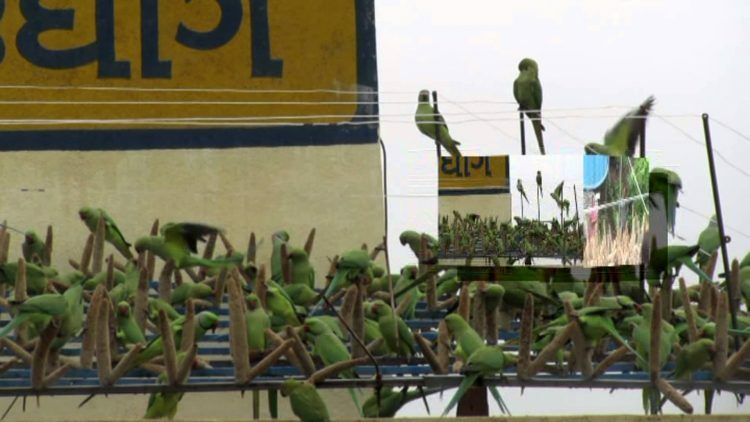 The next day, two parrots came to feast on the delicious treat, then three, four, and within a month, there were already 100-150 parrots and sparrows visiting him every day. Many people would consider such a large number of birds chirping and making a mess outside their window a nuisance, but Harsukh couldn’t be happier about it. 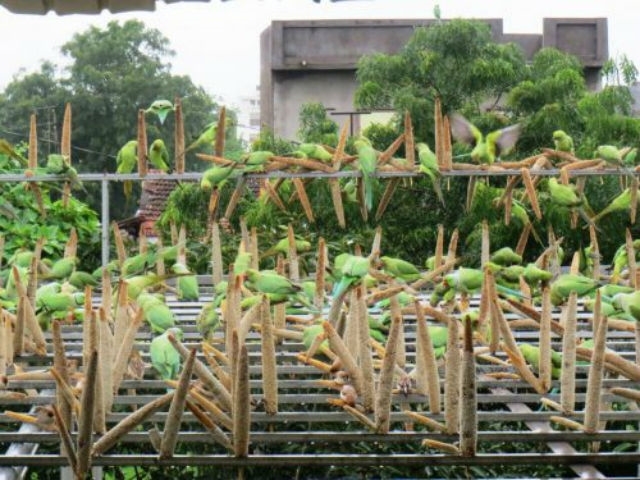 As more birds started visiting him on a daily basis and the limited space on his balcony became a problem, he built a stand out of old pipes and hanging millet cobs on them, so the birds could eat in comfort. Harsukh Bhai Dobariya and his family used to live on a property in the middle of the city, but as the number of birds visiting them on a daily basis increased, they became a problem for the neighbors, so in 2012, The Birdman moved on a 4-acre piece of land on the outskirts of Junagadh, where the birds didn’t bother anyone. Today, between 2,500 and 3,000 parrots and sparrows visit Harsukh’s farm several time a day. He and his family have built several stands for them, and make sure to change the millet cobs twice a day. They spend between 1.5 lakh and 2 lakh ($2,350 – $3,100) on feed for the birds, but their land is more than a free-for-all buffet. Over 1,000 sparrows build their nests on the farm, and have their young here. Harsukh and his family not only protect them from predators until they are ready to fly, but they also commission the farming of tumdi, a kind of gourd that they use to make nests for the birds, distributing free seeds to interested farmers. During the monsoon season, the doors of the Dobariya house are always open to birds seeking shelter from the rains. Interestingly, Harsukh is not India’s only “birdman”. 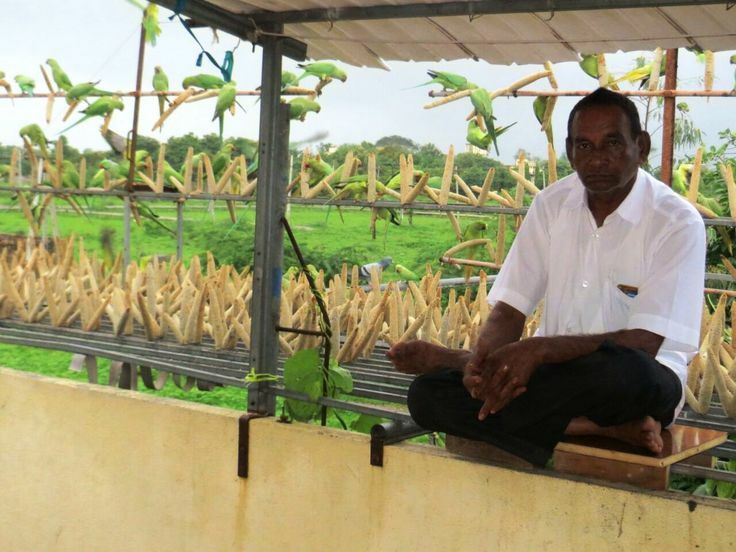 Two years ago, we wrote about The Birdman of Chennai, who feeds 4,000 parakeets every day, and earlier this year, we featured Dr. Sri Ganapathy Sachchidananda Swamiji, who has dedicated his life to saving endangered and injured birds. He currently holds the record for most bird species under a single roof, 468.